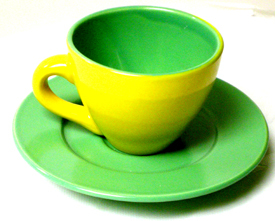 Cup and Saucer Set of 6. Porcelain glazed finish. 2 yellow, 2 green, 2 blue. Great for a gift!